This icon set was made in a similar way as Shades of geometry. 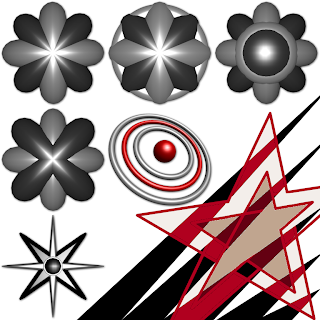 I used two basic colors [black and grey] and in the case of the Planetoid icon also a red color. First five icons are in the same style. The last is different, because it was added later.